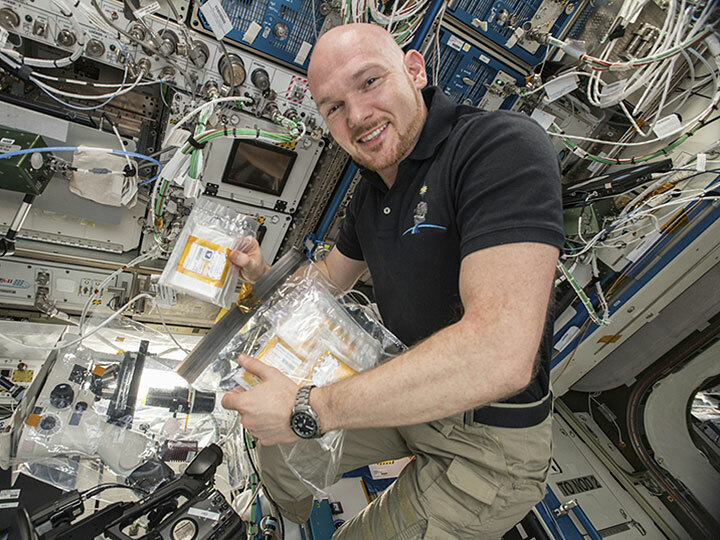 European Space Agency astronaut Alexander Gerst working on the KRAS protein crystallization experiment onboard the International Space Station. Knowing a protein’s structure helps scientists understand its function and how to design drugs to work with the protein and treat disease. Protein crystals formed in microgravity are often larger and more well-ordered than crystals grown on Earth, and analysis of such crystals could lead to improved structure determination. Three ISS National Lab investigations that returned on SpaceX CRS-16 aimed to use microgravity to grow high-quality crystals of medically important proteins to help improve their structure determination. Oak Ridge National Laboratory crystallized an enzyme targeted by nerve gas and pesticide poisoning, Frederick National Laboratory for Cancer Research crystallized proteins associated with a gene whose mutation is responsible for several types of cancer, and The Michael J. Fox Foundation crystallized a protein linked to the development of Parkinson’s disease. 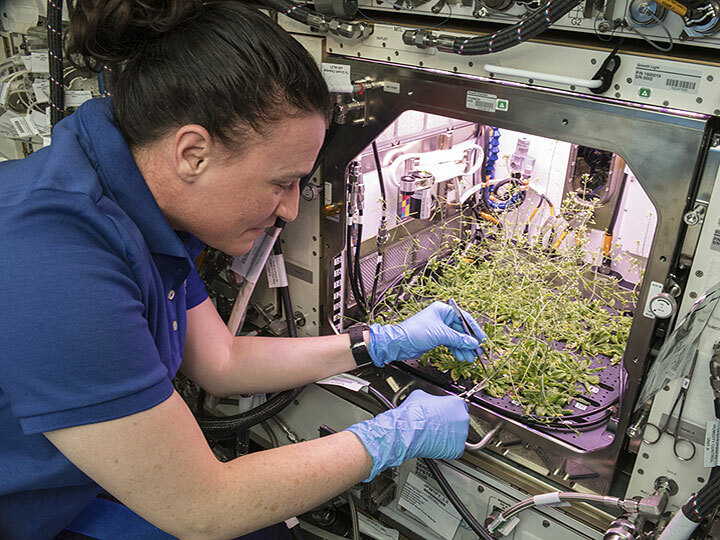 The ISS National Lab Microgravity Molecular Crystal Growth Program aims to enable easier, repetitive, and more economical use of the ISS National Lab for crystallization research. Proteins—large molecules made up of hundreds to thousands of amino acids—are vital to the proper function of tissues and organs in our body. Each protein has a unique three-dimensional folded structure based on the sequence of amino acids, and this structure determines the protein’s function. The more scientists know about a protein’s structure, the better they can understand its function and design drugs to work with the protein and treat disease. To determine a protein’s structure, scientists can crystallize the protein and use methods such as X-ray crystallography or neutron crystallography to figure out the position of the atoms within the protein. Neutron crystallography provides greater structural detail than X-ray crystallography because it allows researchers to determine the position of hydrogens within the protein’s structure. However, neutron crystallography requires large, high-quality crystals of the protein that are difficult to obtain on Earth. The International Space Station (ISS) National Lab is a valuable platform for molecular crystal growth because crystals grown in microgravity are often larger and more well-ordered than Earth-grown crystals. The reduction of gravity-driven forces such as convection and sedimentation allow for a slower and more orderly incorporation of molecules into the crystalline lattice, and analysis of higher-quality protein crystals enables better structure determination. 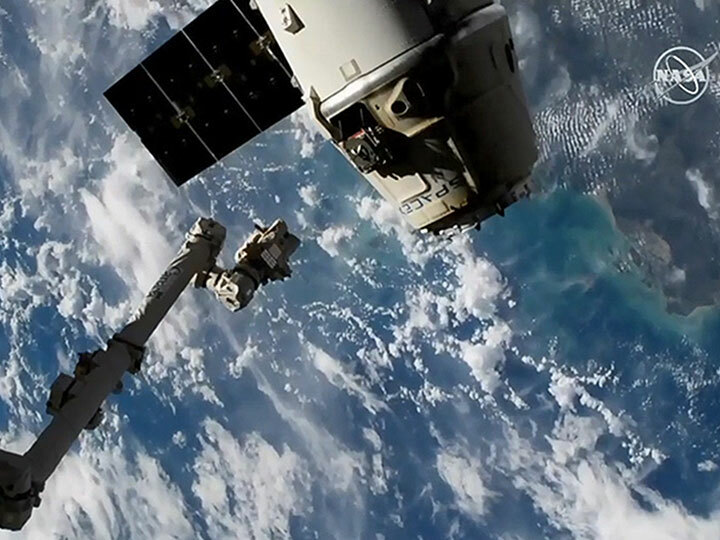 Three investigations that recently returned to Earth on SpaceX’s 16th commercial resupply services (CRS) mission sought to use the microgravity environment on the ISS National Lab to grow high-quality crystals of medically important proteins to help improve their structure determination. An investigation from Oak Ridge National Laboratory is focused on crystallizing an enzyme called AChE that is targeted by nerve gas and pesticide poisoning. Organophosphates are a type of chemical compound used in nerve gas and pesticides that target the AChE enzyme and cause it to malfunction, leading to paralysis and death. Organophosphate poisoning is responsible for more than 200,000 deaths worldwide each year. The research team is aiming to use microgravity to grow AChE crystals that are large enough for analysis using neutron crystallography. Knowing the position of hydrogen atoms in AChE’s structure is key to understanding how the enzyme functions and how it might be affected by organophosphates. This information could lead to the development of faster-acting antidotes to pesticide and nerve gas poisoning that could save more lives. This investigation follows from Oak Ridge National Lab’s previous ISS National Lab experiment to crystallize AChE that launched on SpaceX CRS-11. In the previous experiment, the crystals remained on the space station for three and a half months, which the team found did not provide enough time for the crystals to grow large enough. In this second experiment, which launched on SpaceX CRS-14, the crystals remained on the space station for six months. Frederick National Laboratory for Cancer Research is aiming to leverage the ISS National Lab to crystallize KRAS proteins. KRAS is the most frequently mutated member of the RAS family of genes—mutations of which account for more than 30 percent of all human cancers. Mutations in the KRAS gene are responsible for 95 percent of pancreatic ductal adenocarcinoma (the most common type of pancreatic cancer), one-third of non-small cell lung cancer (the most common type of lung cancer), and up to half of colorectal tumors. Lung, colorectal, and pancreatic cancers are among the deadliest and most costly types of cancer to treat. According to the World Health Organization, cancer caused an estimated 9.6 million deaths in 2018. The economic burden of cancer is also significant, and the World Health Organization reports that in 2010, the total annual economic cost of cancer was estimated to be $1.16 trillion. Even after decades of research, there are currently no inhibitors that target RAS genes such as KRAS. It is difficult to obtain high-quality crystals of full-length KRAS proteins on Earth, and crystallization in microgravity may yield improved crystals that could aid in structural determination and lead to the development of inhibitors to treat cancers associated with the KRAS gene. In this ISS National Lab investigation, which launched on SpaceX CRS-16, the research team sought to crystallize full-length unmodified KRAS proteins, cancer-causing KRAS mutants, and KRAS proteins in complex with various small molecule inhibitors. The Michael J. Fox Foundation partnered with the ISS National Lab in an investigation to crystallize LRRK2, a protein associated with the development of Parkinson’s disease—a condition currently affecting 6 million people worldwide. By growing crystals of LRRK2 in microgravity, the research team hopes to obtain crystals that are larger and have fewer defects than those produced on Earth. Higher-quality crystals could improve the structure determination of LRRK2, which could lead to advancements in structure-based drug design for Parkinson’s. This is the second ISS National Lab investigation from The Michael J. Fox Foundation. The first investigation, which launched on SpaceX CRS-12, produced crystals that were of high quality but that were not large enough to improve the structure determination of LRRK2. In this second investigation, which launched on Northrop Grumman CRS-10, the research team used a different type of hardware to allow for larger crystal growth.